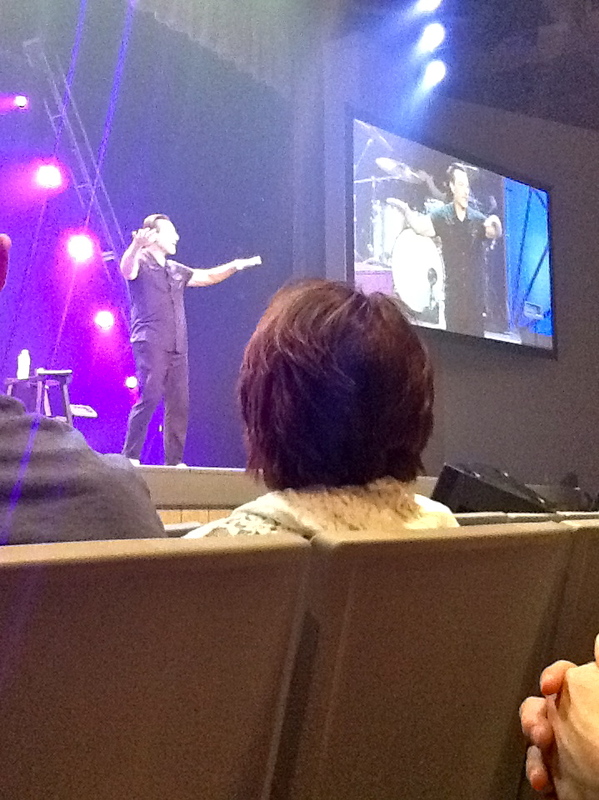 That was the question Erwin McManus posed at Kensington’s Troy campus this past weekend. His answer? The ability to imagine. We are human because we can imagine a future that does not yet exist. We can imagine the best possible version of ourselves. We can imagine a world without hunger, without thirst, without despair. But that same imagination can drive us to despair when we realize that we are not yet the person we imagine we could be. The world is not as we imagine it should be. Our life has not turned out the way we imagined it would be. And so we despair. Or do we? Our imagination can also drive us, compel us, toward the future that we hope for. And that was Erwin’s conclusion. Humans create futures. Yesterday’s choices became the future called today. Steve Norman wrapped up the service by taking that one step further. Today’s choices create tomorrow’s possibilities. If you’d like to read more, check out Erwin McManus’s new book, “The Artisan Soul.” And if you’d like to see more, check out the weekend service of the same name. Humans have the ability to materialize the visible from the invisible imagination. It was a great message. In order to create, you have to be able to first see what “is not”. Then you imagine and then finally create.